Innovative Software Solutions customer, HollyFrontier, is very satisfied with their move to AKORE® FTPlus back in 2013 their 3rd AKORE Tax product purchase. 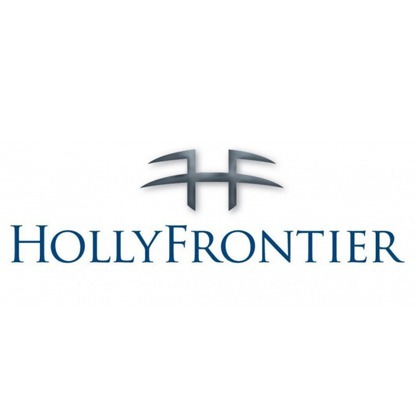 HollyFrontier Corporation is among the largest independent petroleum refiners in the United States with operations throughout the mid-continent, southwestern and Rocky Mountain regions. Subsidiaries of HollyFrontier Corporation produce and market gasoline, diesel, jet fuel, asphalt, heavy products and specialty lubricant products. 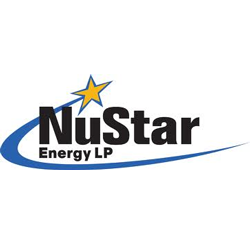 The Company is headquartered in Dallas, Texas and operates five complex refineries with 443,000 barrels per day of crude oil processing capacity. The Motor Fuel Excise Tax Group states that since we moved away from another system and went with AKORE® FTPlus, we have found the differences to be very meaningful in a number of ways. Two things really stand out; first, the speed of the system is incredible. We estimate that in terms of function and resources required that we have reduced our costs by a minimum of 50%. The other significant way that the system impacts us, really on a daily basis, is that previously whenever a change was made to the system, it would require that we bring in our vendor to make those changes. AKORE FTPLUS changed that dynamic and further helped us reduce time and expense. Now, changes, big or small can be accomplished within our team on the business side and do not require IT (accept in instances where they would normally be involved.) For instance, adding products. Innovative Software Solutions, Inc. is the home of IRS EXSTARS certified AKORE® FTPlus software and AKORE® TaxCalendar, AKORE® TaxCRM, AKORE® PricingCRM, AKORE® Contacts, and AKORE® CRM software. We are also a member of the Federation of Tax Administrators and that organization’s Uniformity committee. Innovative Software Solutions (ISS) announces sales of AKORE® TaxCalendar™ have increased by over 300%. Many new Fortune 500 corporations have recently converted to AKORE® TaxCalendar™ for their due date tracking solution. Tax professionals are saying they looked at the other Tax Calendar software products and no one else offered the functionality, flexibility, time saving features and attractive pricing plans that AKORE® TaxCalendar™ provides. In addition our customers are also recommending AKORE® TaxCalendar™ to other internal departments such as accounting and compliance to help record, track and report on their internal due date business obligations. AKORE® TaxCalendar™ is quickly becoming a world class due date tracking solution for the Enterprise Tax Department and more! Innovative Software Solutions (ISS) expands corporate headquarters to accommodate additional staff and IT infrastructure due to the demand of its AKORE® software solutions. Richard Carrier president of ISS said that the demand for our AKORE® software solutions has increased by leaps and bounds and we were just running out of space to accommodate additional staff. Carrier went on to say that adding the additional resources would help maintain ISS’s high customer service levels, the difference between ISS and our competitors is the amount of time we put into each customer, one customer at a time. Innovative Software Solutions, Inc releases AKORE® TaxCrm 3.4. which provides enhanced Motor Fuel License reporting and exemption certificate document storage. Innovative Software Solutions, Inc releases the 2.0 version of its AKORE TaxCalendar™ software. The new release include features such as the Dashboard , Change Auditing along with new and enhanced reporting.